Don't let your pet "cross the line!" 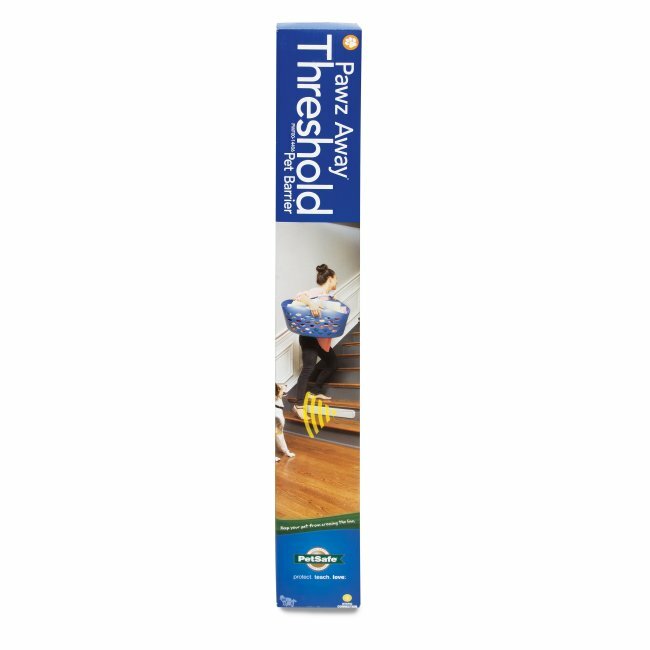 The Pawz Away Threshold Pet Barrier keeps your pet from entering or leaving a certain room or from going up or down stairs. 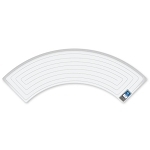 You will never have to step over inconvenient physical pet gates again. Just place the Threshold Barrier near the area your pet should avoid. The Barrier transmits a radio signal to a Receiver Collar around his neck, which electronically blocks him from stairways and door openings. 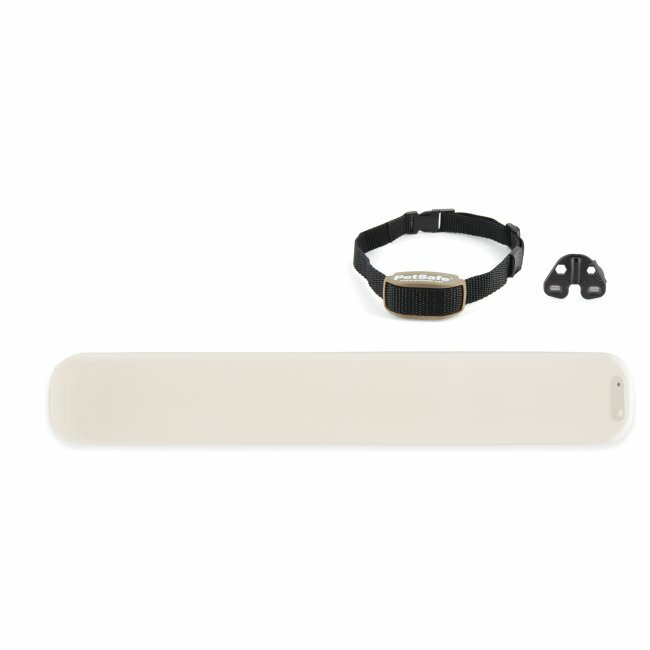 When your pet approaches the Barrier Area, he hears a series of beeps from the Receiver Collar followed by a safe, progressive Static Correction, delivered through the Contact Points on his neck. It is designed to startle, not punish. The sensation is similar to walking across carpeting, then touching a door knob. This method has been proven safe, and will not harm your pet. Your pet quickly learns the areas he is free to enjoy. 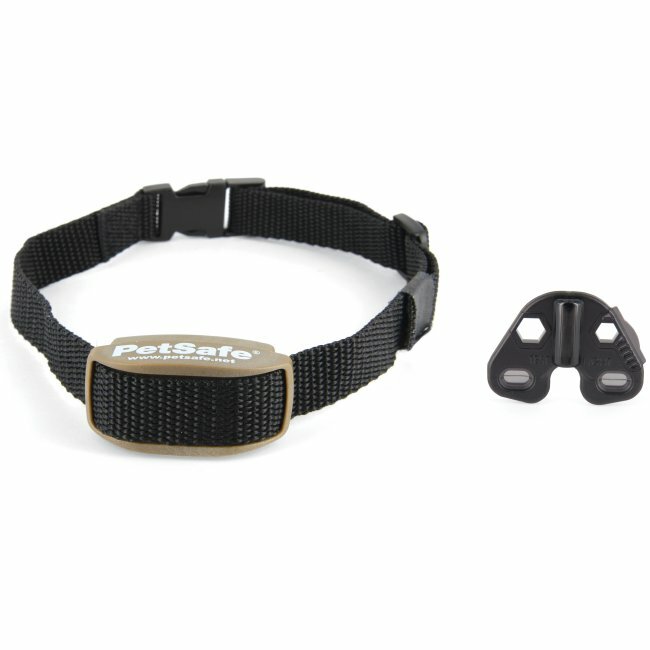 The Receiver Collar is sized for pets weighing 5 pounds or more. This system will work best for pets less than 40 inches tall.